Slipcover sofas are having a moment in home decor. 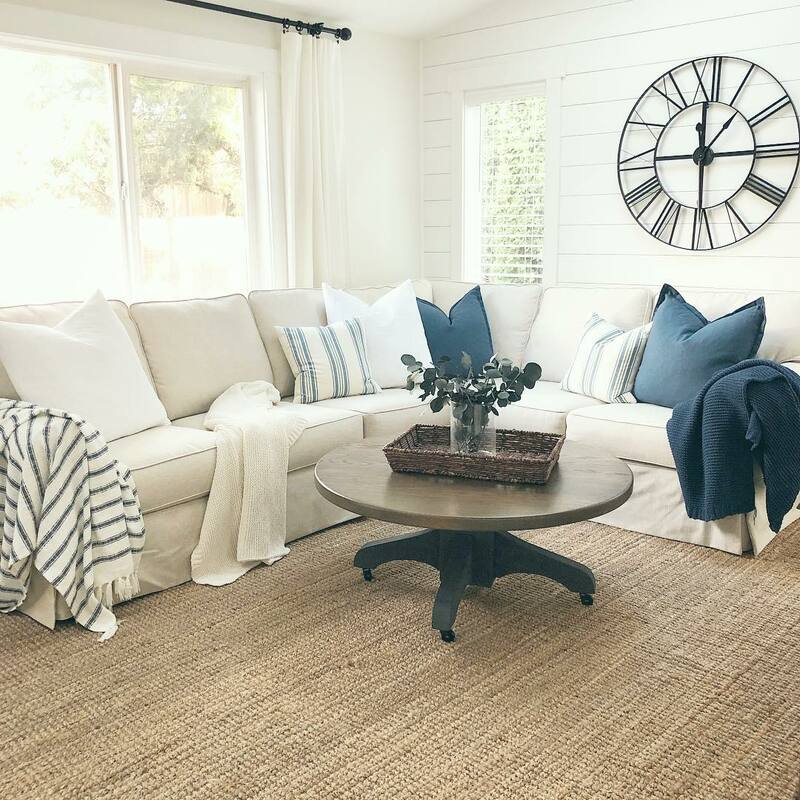 Pottery Barn was probably the first to make the slipcover sofa trend go mainstream. Since then I’ve seen countless farmhouse homes and Instagram living rooms featuring this classic sofa style. But are slipcovered sofas worth it when it comes to your living room? Based on my research, I’ve found a few pros and a few cons when it comes to purchasing a slipcover sofa. Washable: This is probably the biggest reason why you should get a slipcover sofa if you want one. It’s super convenient to just remove the slipcover and wash it if someone gets it dirty or spills liquid on it! Can’t do that with normal sofa, now can you? 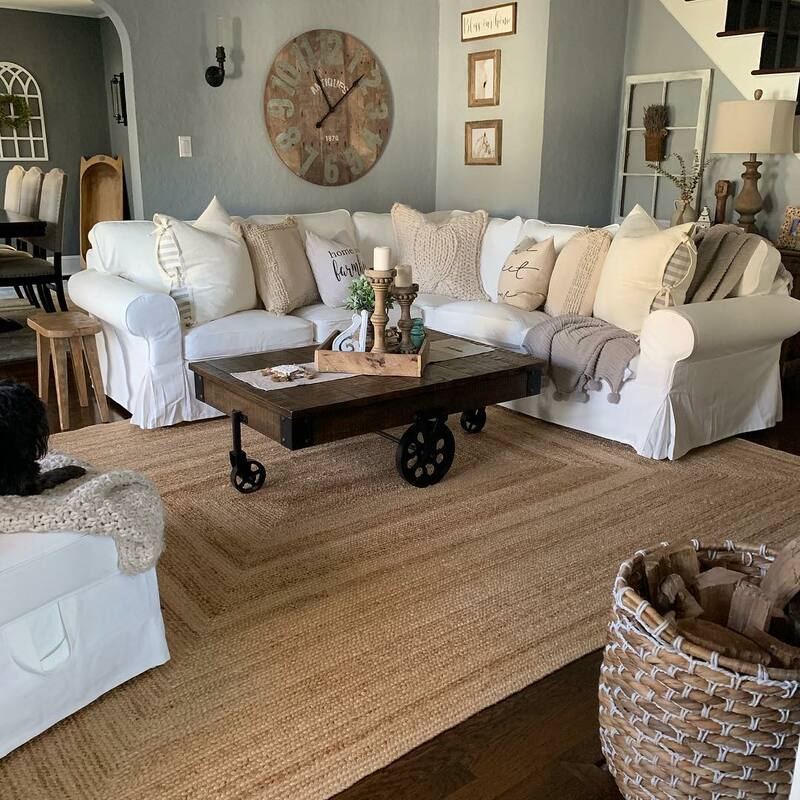 Easy to Redesign: If you ever want to change your sofa color, it’s easy to buy a new slipcover in a different color or pattern to redesign your home room decor. Customizable: Slipcovers come in a large variety of shades, patterns and colors offering you some of the most flexibility when it comes to customizing your sofa. Getting the Slipcover on: I’ve read that this is the biggest pain when it comes to slipcover sofas. Getting the slipcover back on after you’ve washed it is, well, less than easy. 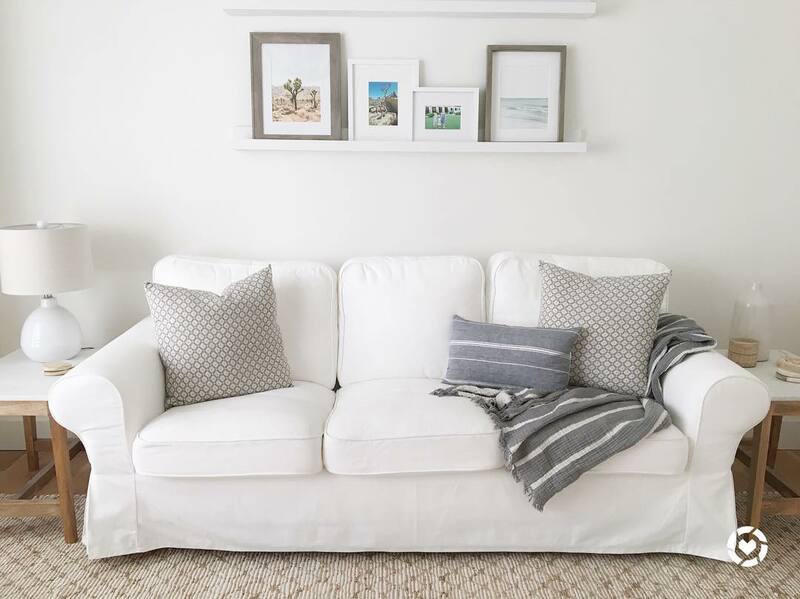 Wrinkles: Generally the slipcover is on the cushions so tight that it masks any wrinkles, but I’ve noticed that sometimes the skirt of the sofa is prone to wrinkling which can make for an unsightly appearance. 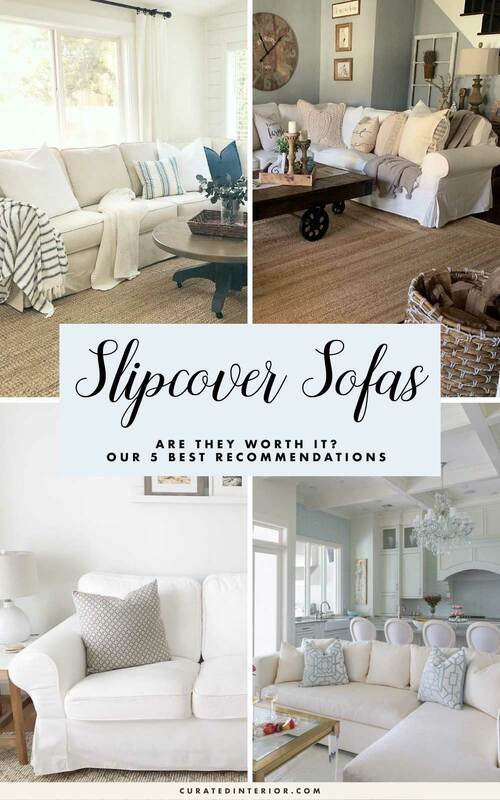 If you have your heart set on this particular style of sofa, then I’d like to share with you the most popular slipcover sofas I’ve seen online! 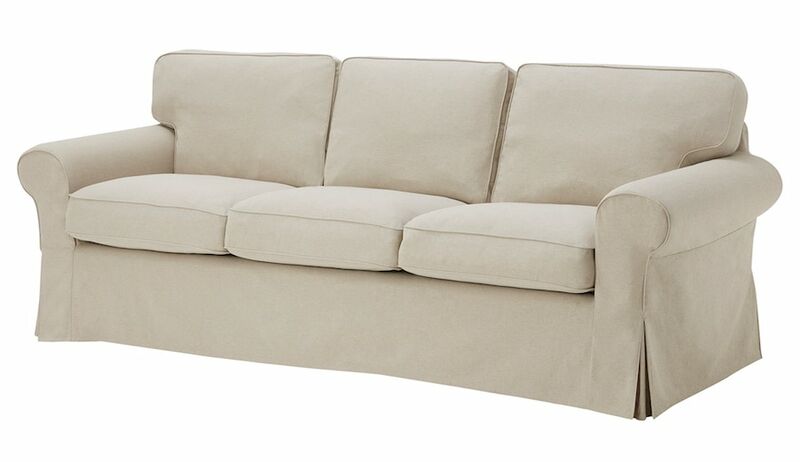 The Ikea Ektorp Sofa is probably the most popular yet affordable slipcover sofa I’ve seen around. The Ektorp line offers furniture from small to large and everything in between. So in addition to the standard 3.5-seater, you can purchase matching accent chairs, sectionals, and 4+ corner sofas. The PB Comfort Roll Arm Slipcovered Sofa is perfect for people who want a traditional, slipcovered sofa that they can style as they like, without drawing too much attention to the sofa itself. 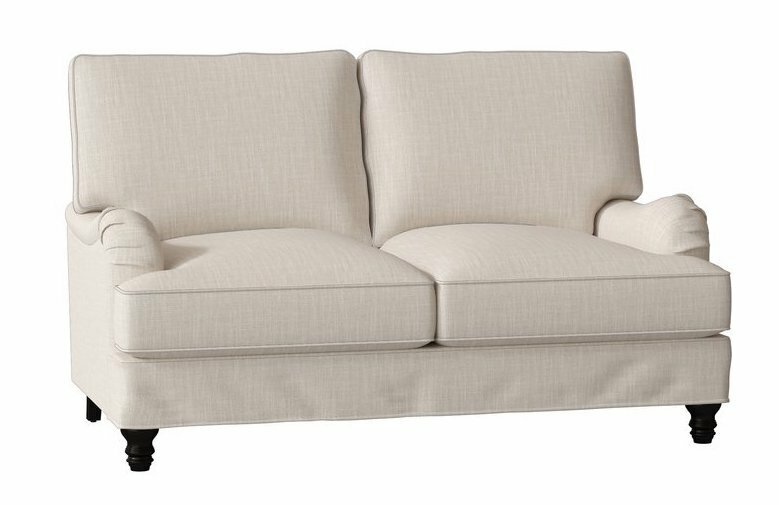 Pottery Barn makes this a reliable choice for people who want to invest in a long-term slipcovered sofa. If you’re looking for a slightly feminine touch to your sofa, then try this camelback sofa with a gently curving back. What’s more, this sofa features one long seat cushion as opposed to two or three separate ones. I think it gives it a much more put-together look all around. It also comes in over 100+ different slipcover shades – making it ultra customizable! 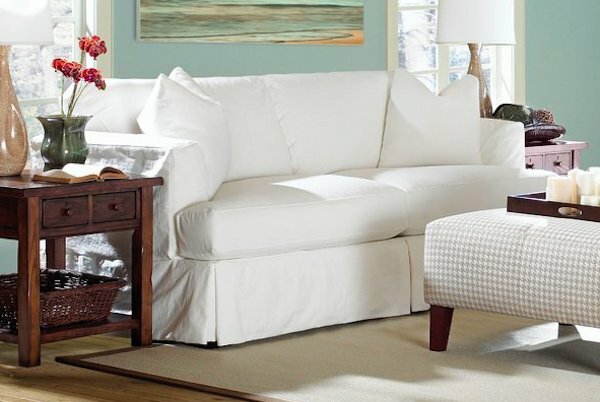 The best value for a slipcover sleeper sofa is found here at Wayfair. If you’re hesitant because of the price, keep in mind this sofa has been made in the United States and is highly rated by over 200 customers. 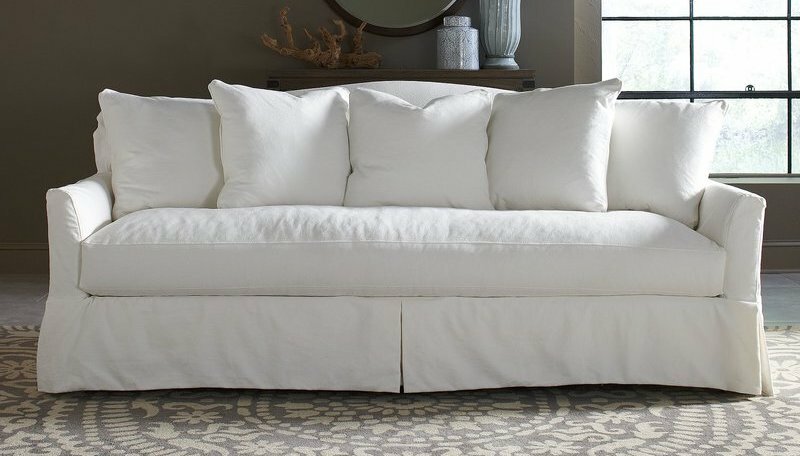 If you’re working with a small space, then I’d opt for this slipcover loveseat which can accommodate 2 people (or 3 really small ones!). This highly rated loveseat is crafted from solid wood and made in the USA. It has a short skirt so the turned feet peek out just a bit. As you can see, white is by far the most popular slipcover sofa color. I can see why. These beautiful living rooms have a crisp and clean look with their white sofas! What are your thoughts on a slipcover sofa?